Significant Sigs: The General Fraternity’s highest honor for outstanding achievements in the profession. As of Oct. 2014, there are 22 Honorees from UT’s Beta Sigma Chapter, including a current Judge, a U.S. Senator, a football icon, and a "Pilot." See entire list of Beta Sigma Significant Sigs. Kem Hinton FAIA, '77, Principal, Tuck-Hinton Architects in Nashville. Fellow, American Institute of Architects. From the "Pop Quiz" on the Home page: What do these 4 Sigma Chi alumni have in common? Answer: They were all named Significant Sigs in the 2011-12 Class. * James A. Haslam III, '76, now president of Pilot Oil Co. (Yes, his dad Jim is already a Significant Sig). * Kenneth A. Cutshaw, '75, President, Int'l of Quiznos, since 2012. EVP of Church's Chicken, 2005-12. * Bill Haslam, Emory '80, from Knoxville, Governor of Tennessee, 2011 - Present. Mayor of Knoxville, 2003 - 11. * Brad Pitt, Missouri '86, actor. Four notable Sigma Chis in the 2011-12 Significant Sig class. 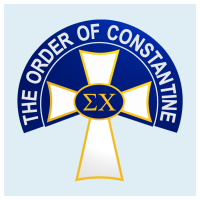 Eight Beta Sigmas have earned Sigma Chi’s highest honor for commitment, dedication and service to the Fraternity. (One of them started Sigma Chi Derby Week).